South Africa is a kaleidoscope of cuisines with a tendency to induce tastebud nirvana. World-class ingredients lying on their doorstep give rise to an epicurean A-to-Z, from mouth-watering street food to fêted destination restaurants. When it comes to that perennial question as to which is South Africa’s best restaurant, two names continually appear: The Test Kitchen and La Colombe. I have been fortunate to dine at both and let me state for the record, I absolutely adored The Test Kitchen. However, based on my most recent lunch and then canvassing local epicures, I dare suggest that, at this moment, La Colombe might just have it’s nose in front. I was invited to Sunday lunch upon my arrival in Cape Town, though on this occasion it wouldn’t involve a roast beef joint, Yorkshire pudding, a bathtub of gravy and a brisk walk with the dog afterwards. Rather, there was the prospect of some nifty bottles courtesy of our party’s generous host, and even though I had just hopped off a 12-hour flight, I couldn’t say no. Restaurants in the Cape are often blessed with spectacular backdrops, exploiting the Cape’s dramatic scenery with enormous glass facades. (Surely many a conversation has evaporated as diners gawp at the panorama.) 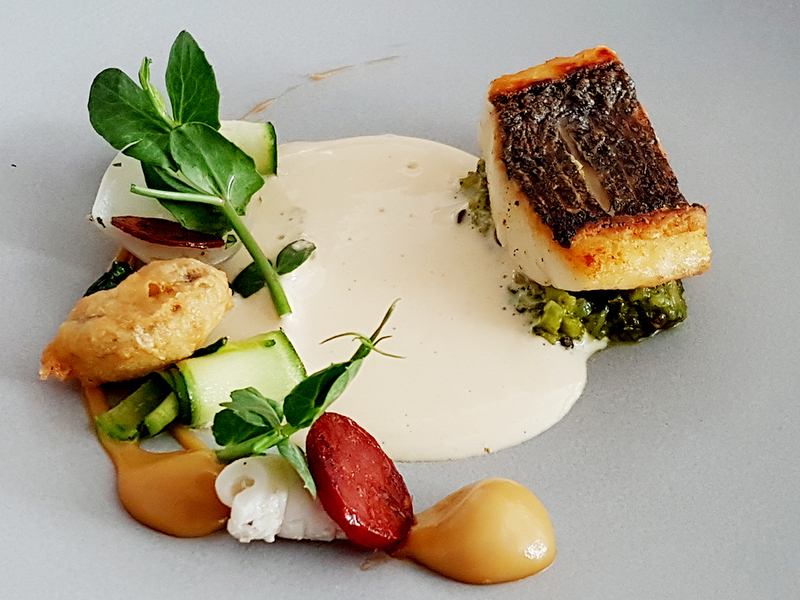 Check out the likes of Waterkloof or Jordan; Delaire Graff Estate or Creation. La Colombe nestles at the end of long meandering road on the Silvermist Mountain Lodge Estate within the national park in the Constantiaberg Mountains, where it enjoys an awe-inspiring backdrop over vines and the vertiginous rugged mountains ascending beyond. Bag a window seat if you can—but don’t fret if they’re all taken, as wherever you are seated there is a lively ambiance. It feels cozy, homely even, yet it’s openness blends the interior into the landscape. Chef at the helm is Scot Kirton, who donned at Gordon Ramsay’s Savoy Grill in London, and was also sous chef at Test Kitchen for two years before departing for La Colombe. This guy can cook. La Colombe follows the trend for a single set tasting menu, which in some ways I prefer to establishments offering choice. Not only does it allow patrons to collectively sample the gastronomic range of the kitchen’s culinary expertise, but relieves customers of choosing this in lieu of that—diners can savor a bit of everything. Also, in my experience, a fixed menu means that there is great incentive for the chef to make sure every course is tip-top—unless you want to go out of business. I cannot praise the standard at La Colombe highly enough. 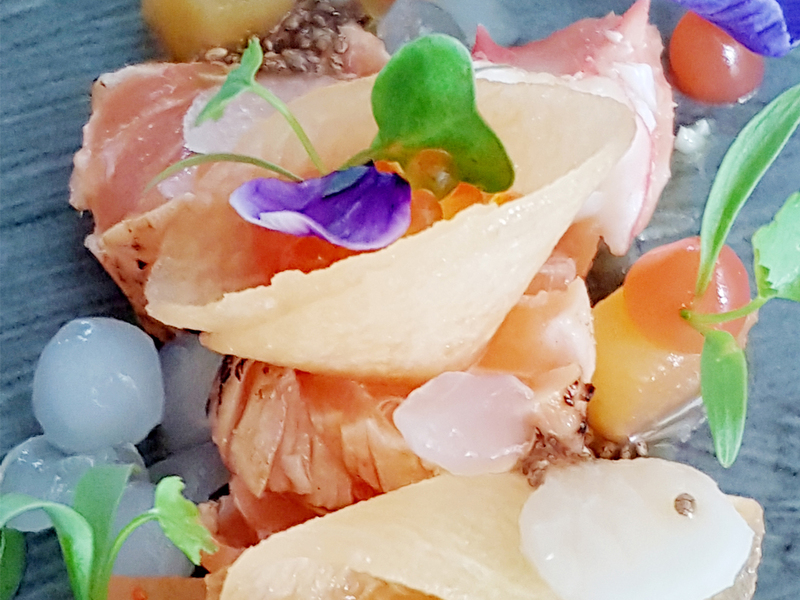 The freshness of ingredients was apparent as soon as that cheeky tin of tuna sashimi appeared (seafood sourced from Two Oceans and Green Fish, the meat from Ryan Boon Butchery and N1 Restaurant Supplies). The jaw-dropping and novel combinations, meticulous presentation and attention to detail were consistently outstanding. 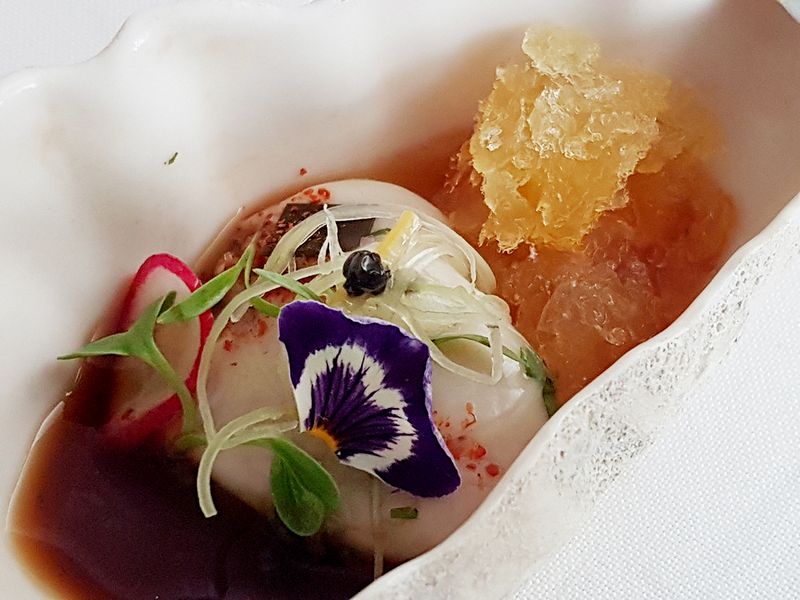 Much like Martín Berasategui in San Sebastián that I reviewed last year, Kirton's cooking is innovative without being avant-garde or pretentious. 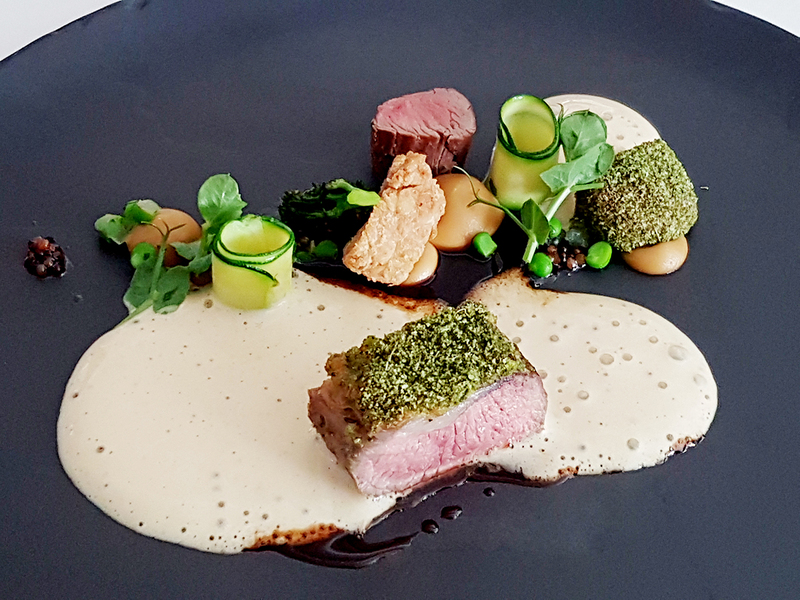 Every dish was mop-up-the-plate delicious and even if it didn’t quite match the breath-taking perfectionism of Berasategui, the standard was comfortably within two-star Michelin territory. 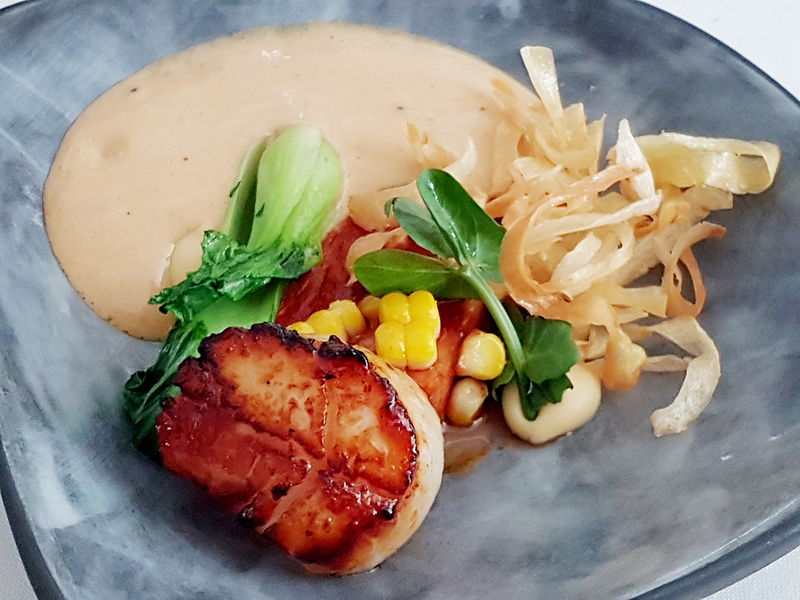 I appreciated the freshness of these dishes—nothing excessively heavy, more vivid flavors that ricochet off each other, engaging the senses in novel ways. The blood orange electrified the Norwegian salmon while the kalamansi (a citrus fruit hybrid of a mandarin orange and kumquat) married beautifully with the caviar-crowned oyster. With regard to the wines, we were in for an absolute treat thanks to our generous host. All the bottles—and quite a few magnums—had been purchased on release and flown directly to the restaurant. Some were wary about serving South African wines against legends such as Domaine de la Romanée-Conti or Château Margaux...but why not? 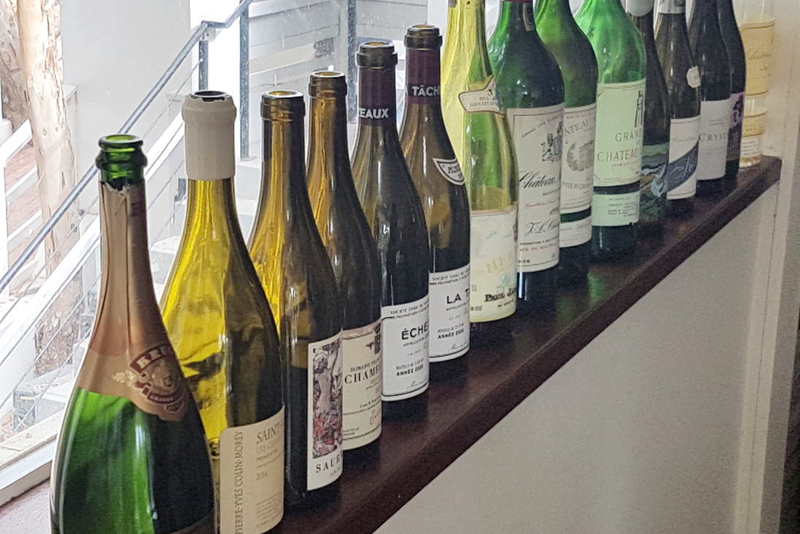 South African wines have come of age over the last decade and as someone fortunate to taste iconic wines with totally inhumane regularity, I can confirm that the best of South Africa is world-class. So when Jessica Saurwein served her delicious and impressively pure maiden 2015 Pinot Noir within close proximity to the 2000 La Tâche, then bring it on. Let’s juxtapose. Taking pleasure from one does not preclude enjoyment of the other. Fact is, they are two Pinot Noirs from opposite sides of the spectrum and yet their raison d'être is the same. As it transpired, the Burgundy showed the same advanced signs of maturity as a previous bottle poured blind by Jean-Charles Cazes three of four years ago. Jessica’s debut was singing and dancing, a great debut if I can repeat the views in my recent South Africa report, whereas the 2000 La Tâche is a Burgundy I wouldn’t cellar too much longer. My pick of the Burgundy wines was actually the 2000 Chambertin from Jean-Louis Trapet that is drinking extremely well after 17 years, a little rustic perhaps, but the fruit had more vitality than the La Tâche. There were numerous highlights, perhaps none more so than a stellar magnum of 1990 Montrose that was certainly the 100-point masterpiece we have come to know and love when not side-tracked by brettanomyces. The magnum of 1982 Latour ought to have dazzled but it was corked—but who cares when the 1978 Hermitage La Chapelle is being poured? Approaching four decades old I am beginning to wonder when this will ever reach full maturity. Also maturing at its own pace seems to be the 2002 "V" Petit Verdot from Viader, which was served blind. Usually I can pin down this grape variety easily, but not this, proving that the variety can reward cellaring in rare circumstances. We finished with a sensational 1989 Yquem, again served from magnum, perhaps now the best of the triumvirate at the end of that decade, just about as good as Sauternes can get. This was Sunday lunch par excellence: great setting, great company, great food and great wine. 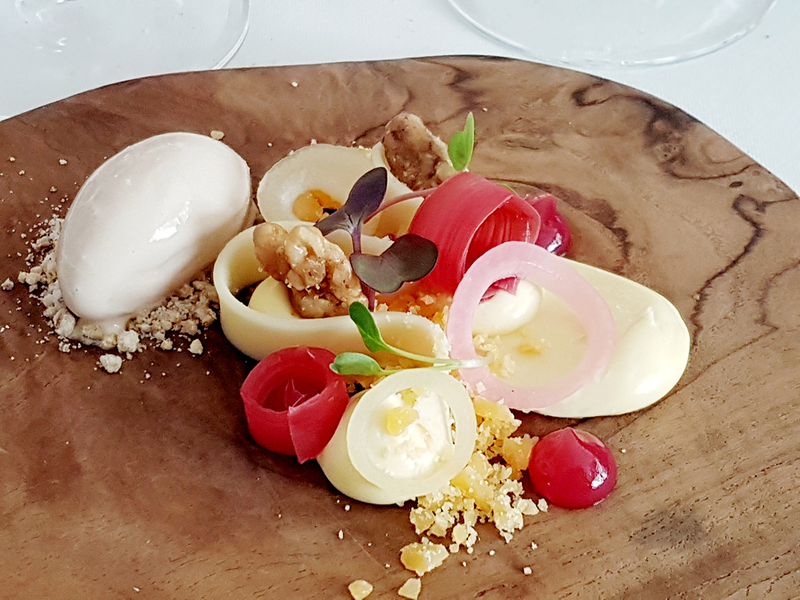 La Colombe is just one of many restaurants that make the Cape dining scene so vibrant and dynamic, a testament to the heights of gastronomy within its grasp. And it needs to be said: the weakness of the South African rand makes swanky meals like this almost embarrassingly cheap compared to elsewhere. You can push the boat out and still depart feeling as if you have just found the best deal ever. 2000 Domaine de la Romanée-Conti La Tâche Grand Cru 91? Neal Martin checks out the Llugwy River Restaurant located in beautiful Snowdonia.